The Holy Quran (Summary): Chapter 109 Sūrat al-Kāfirūn - The Unbelievers ~ Islam My Ultimate Decision . Propagating a new religion among the desert hardened pagans of Makkah was not an easy task for Prophet of Allah, Muhammad (peace be upon him). The rich and famous of Makkah took pride in their age old traditions and polytheism, the worship of far too many idols for each season and humanly desires. Since over 300 idols placed in and around of Ka'aba, provided a means of sustenance to them as people from all over Arabia came to Makkah to pay homage to their gods and thus brought trade and money. Therefore, an end to their beliefs as manifested by emergence of Islam was taken as a great threat and they did their best to persuade prophet of Allah from propagating the concept of monotheism. When every effort failed to convince Prophet Muhammad (peace be upon him), the nobles among the Banu Quraysh started offering him different options, like entering into each others beliefs on yearly basis, or else offering him gifts, wine and women to stop talking of his new religion and faith. Then as a last resort they asked Prophet Muhammad (peace be upon him) to stop talking against their gods and idols and stop polluting the minds of the non believers. This definitely has a a telling effect on the Prophet of Allah who was finding it difficult to make a headway or breakthrough. It was under such circumstances that Sūrat al-Kāfirūn was revealed by Allah, which provided a relief to the Prophet and a new course of action to keep the non believers at bay and to their beliefs. 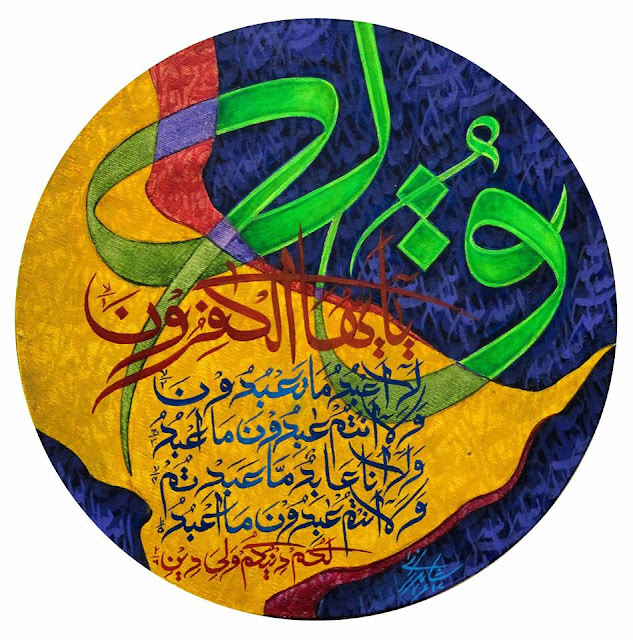 The theme of this Surah is very simple and easy to understand: While it out rightly rejects polytheism, it gave a clear message to the pagans of Makkah that Islam was there to stay and that Muslims would never ever revert to idol worshiping, for it was against their very belief of monotheism, and that they would not tolerate sharing of wordily gods with one absolute Allah, the creator of the universe and mankind. This surah, like many others, also leave a clear message that Muslims believe in one Allah as was believed by Prophet Ibraheem (Abraham, peace be upon him) and all prophets and messengers who came thereafter. Thus anyone who digresses from the concept of monotheism, and shares others with Allah, is not whom we follow or support. This clearly emphasizes that Islam is free from idol worshiping and concept of God sharing or the concept of Trinity. And those who have beliefs and faith tangent to the faith and belief of Muslims and this can be summed up in one sentence: "To you your religion and to me mine." The Prophet of Allah liked this surah so much which strengthened his faith that by Abdullah ibn Umar. son of second caliph Umer bin Khatab and a prominent authority on hadiths, has quoted that on many an occasion he heard Muhammad recite Sūrat al-Kāfirūn and Sūra al-Iklas in the two Rakats before the Pre-Dawn (Fajr) obligatory Prayer and in the two rakats after the Sunset (Maghrib) obligatory Prayer. He would also recommended reciting all four surahs starting with "Qul" before going to bed and before getting up from the bed in the morning.